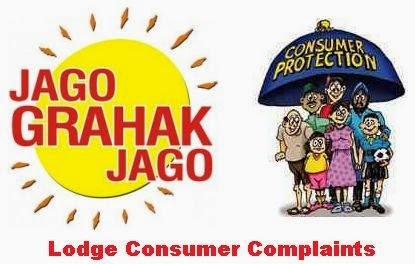 Don’t know how to file complaint in consumer court (Grahak Suraksha) online? We will help you to know the official and correct way to file a complaint in consumer court online. Let’s have a look at the information given below to know in detail. First of all, to file a complaint you must be a consumer. I will give you one example. If you have bought services or goods for your business and you want to re-sell it then you are not a consumer. However, if you have purchased goods or services such as computers, mobiles, medicines etc. for your own use or mediclaim insurance policies then you are definitely a consumer. You will have to give a notice in writing to the supplier or service provider asking them to correct the mistakes, faults, or defects of product etc. Moreover, the notice should be simple and it must clearly point out your objections and requesting them to do the corrections. Give one month notice and address the notice to the nearby address available so if you need to file a complaint it will be in the closest consumer court. Complain must be filed within 2 years of the cause of action. Your complaint must be arranged in the following order and you have to page number all the documents. Index giving the page numbers of every document. Application for the con-donation of delay if there is delay, giving the reasons of it and duly stated before a notary public. Your complaint should contain details of the grievance arranged in sequential order. Give brief description of the issue on which relief is required. Complaint must be signed by the complainant. Moreover, you can appear for the consumer forums in person or any of your relatives to appear on behalf of you. However, if you are hiring an advocate on your behalf then you have to enclose a vakalatnama and only he will be doing all paper work and attending hearing. In addition, if you are authorizing your relative then you have to give letter of authority. You need to affidavit that the contents of the complaint are real. All your copies of documents on which you rely upon are in support of your complaint. Another way to lodge complain is on the official website of national consumer. Just go to this website and file the online complain, just fill up the form and you can submit your complain. http://www.nationalconsumerhelpline.in/. If you need further details or have questions regarding how to file complaint in consumer court leave comment below.